(oops) is the brainchild of founder Norman Schwartz, a dynamic marketing and branding innovator who came together in 2005 with Emery G. Olcott to form Sewall Road Partners, LLC, the brand-ideation company and brand owner of (oops) and Schwartz Olcott Imports, LLC, the importing company for (oops) and other future brands. Norman Schwartz is an innovative brand-development specialist who has created new brands and repositioned mature brands for over 25 years in various product categories. As International Creative Director for Doyle Dane Bernbach, Norman was responsible for the advertising behind some of Seagram's iconic brands, including Chivas Regal Worldwide. 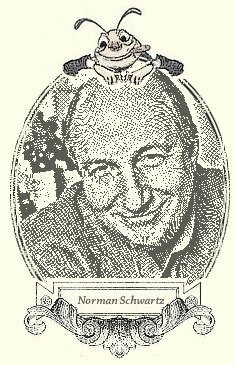 As Vice President, Executive Creative Director for the Interpublic Group, where he directed various consumer brands and with others launched Diet Coke; Norman began to develop non-traditional word-of-mouth marketing tactics as a way to connect emotionally with consumers. As an early adopter of "buzz" marketing and cause-related marketing, Norman is fond of pointing out that "the brand with the most friends wins." After leaving Interpublic, Norman went to MarketCorp Ventures, a consumer products venture capital fund before starting Charron, Schwartz & Partners in 1989, a mid-size brand-development, marketing, and advertising agency. As President and Chief Marketing Officer, Norman directed strategic planning, brand development and marketing for Vintners International after the acquisition from Seagram's of a portfolio of wine brands. Later, Norman acted in a similar role for Group Pernod Ricard in the United States, directing all portfolio brands. In 2002, Charron, Schwartz & Partners began working with W.J. Deutsch & Sons on a tiny, unknown wine brand called [yellow tail]. Norman and key executives at the company created the "voice," brand character and positioning for [yellow tail]. The brand advertising was to be assumptive, irreverent, approachable, and above all, honest. Executed with creativity not seen in the wine industry and supported by nontraditional marketing to protect the brand integrity, [yellow tail] was soon "discovered" by consumers. [yellow tail] caused a national "buzz," making it the #1 imported wine, selling over 8 million cases, and in the process transformed the wine business into a dynamic industry, giving birth to hundreds of kangaroo and "critter" wine brand imitators. "Consumers taste with their eyes. The brand character, "voice" of a brand, and packaging influence consumer expectations and customer satisfaction long before the wine is ever tasted; changing the experience of taste itself. Consequently, an ordinary brand concept and package design will influence a wine drinker to expect an ordinary taste and experience.if they purchase at all," says Norman. Norman sold Charron, Schwartz & Partners, and in 2005 teamed up with Terry Wheatley and Emery G. Olcott, to form Sewall Road Partners, LLC, a brand-ideation company, and Schwartz Olcott Imports, LLC, the importing company for (oops) and future brands from around the world. (oops) was launched in the summer of 2006. Emery, like Carmènere, brings style and structure to (oops). A graduate of Yale University and the Sloan School of Management at MIT, Emery founded and served as President and CEO of Packard Bioscience from 1965 until 2000, when he took the company public. Packard Bioscience was later acquired by PerkinElmer, Inc. Emery was a member of YPO (Young President Organization) and is currently an Executive Director of a WPO (World President Organization) chapter. Emery was named one of the top - 100 Entrepreneurs of the Year in 1988 by the Ernst & Young Entrepreneurial Council. Richard L. Huber is an investor in a number of companies operating in a wide range of businesses, mainly in Latin America. He is an active director on most of these companies' boards as well as on several publicly traded US companies. Prior to 2000 he spent over 40 years in the financial services industry, when he left the large insurance company, Aetna, after several years as its Chairman, President & CEO. Subsequent to leaving Aetna, Huber has been involved in a number of direct private investments, mainly in Latin America. He has also served on several boards both in the US and in Latin America. Since 2000, Huber served on the board for, American Commercial Barge Line, the largest river transportation company in America. In 2004, he had to assume the Chairman and CEO role, while the company was in Chapter 11 bankruptcy, but emerged in 2005, under Huber's guidance. The company went public in late summer of 2005. Huber is Chairman of the Board of G. Barbosa, a supermarket chain in the NE of Brazil. . He is on the boards of Covanta Energy, the largest waste to energy company in the US; of Gafisa, one of the largest real estate development companies in Brazil; My Wines Direct; Aqua Bounty Technology; and Viña San Rafael, Chile.